The Phoenix FireFox 1621 is an S1 tested to the European S1 Security standard (EN14450 ECB.S Certified) giving cash cover of £2,000 or £20,000 cover worth of valuables. 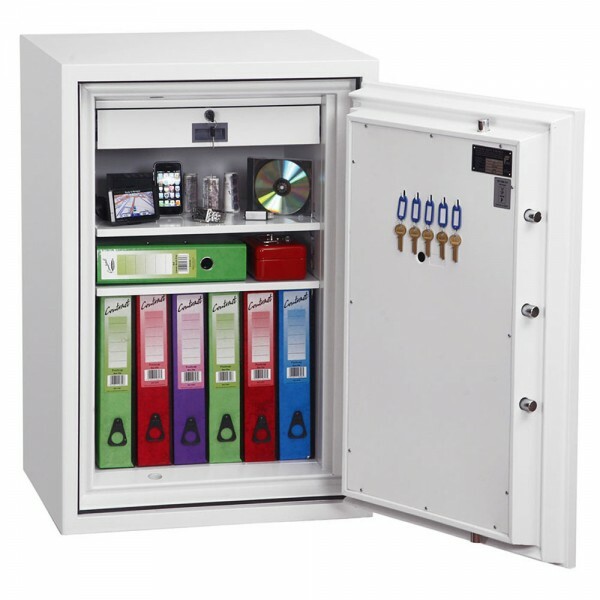 It is tested to the Swedish NT Fire 017 - 120 allowing for up to 120 minutes protection of paper documents against fire. It is also tested to MTC - DIP120-60DM fire test standard thereby providing 60 minutes fire protection for digital media, DVD's, USB's and hard drives. Furthermore. It is fitted with a high security VDS class 2 (Safelogic) electronic lock and is approved by the Association of Insurance Surveyors. 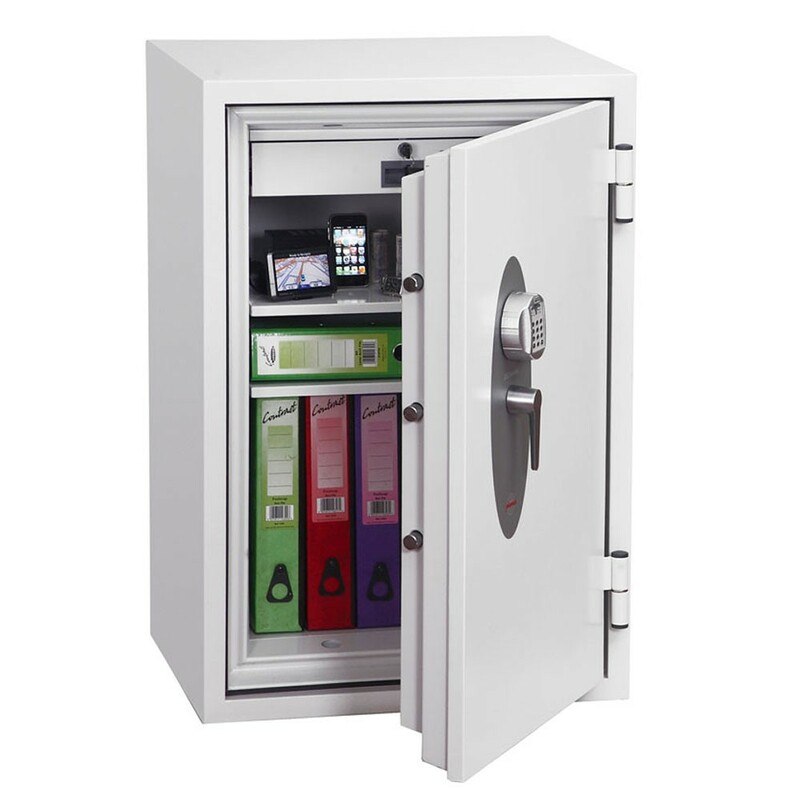 The Phoenix FireFox 1621 has double walls high grade concrete and a lockable drawer for maximum security. Concrete fixing bolts are supplied for floor fixing.